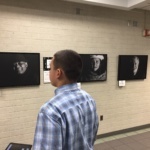 The Cultural Coalition and Connecticut Airport Authority (CAA) have inaugurated an art in the airport program at Groton – New London Airport. The program’s purpose is to showcase the region’s uniqueness, history, industry, culture and geography through visual arts in the airport’s main terminal located at 155 Tower Avenue in Groton. 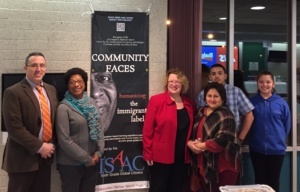 The Southeastern CT Cultural Coalition is pleased to announce the Art At the Airport program’s winter exhibit “Community Faces,” presented by the Interdistrict School for Arts and Communication, opening on February 6. 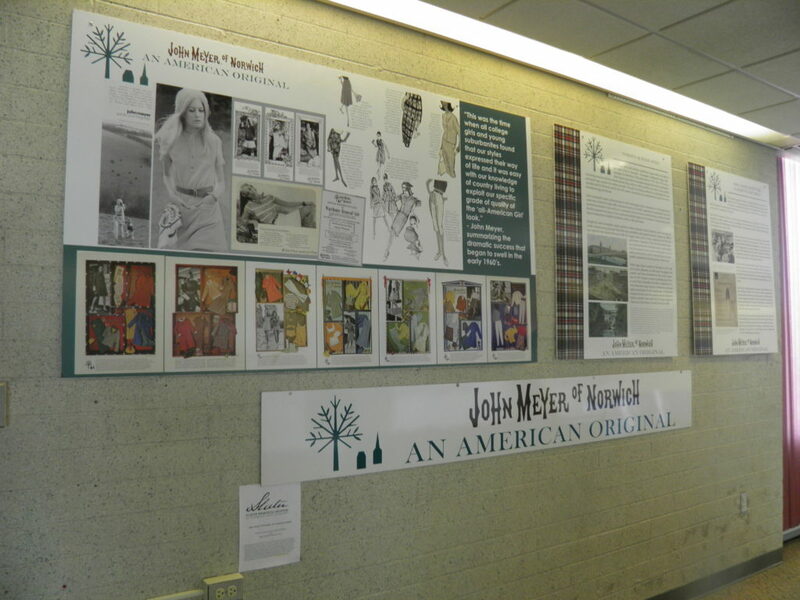 The exhibit will be on view through April 30 at the Groton – New London Airport. Students from New London’s Interdistrict School for Arts and Communication (ISAAC) created “Community Faces – Humanizing the Immigrant Label” – a project in which students wrote stories, took photos, shot videos and designed websites for a traveling exhibit and a book about sixteen local immigrants who came to the United States. The project was one of eighteen winning Better World Projects selected by a committee of Expeditionary Learning (EL) Education students, teachers, and leaders, from submissions across the country and featured at a national conference. 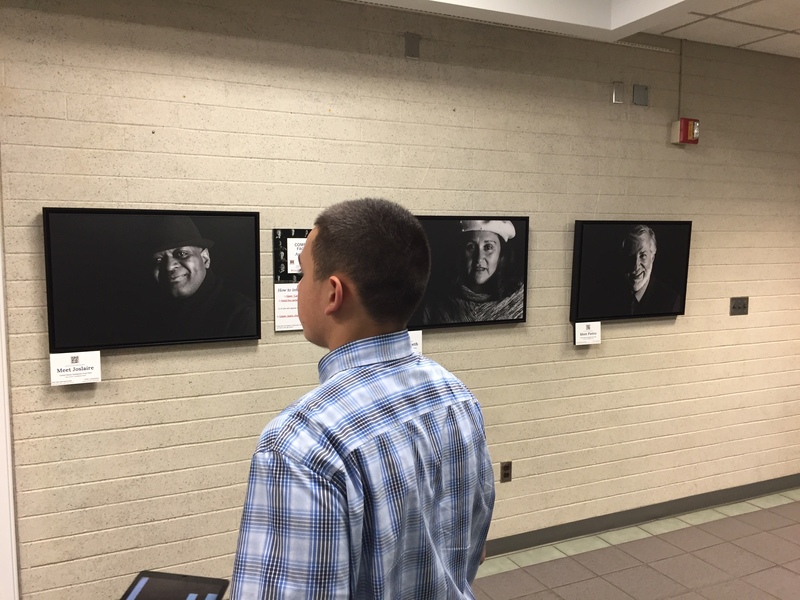 The exhibit at Groton – New London Airport will feature portraits from the project and includes interactive, mobile phone QR component for additional information. 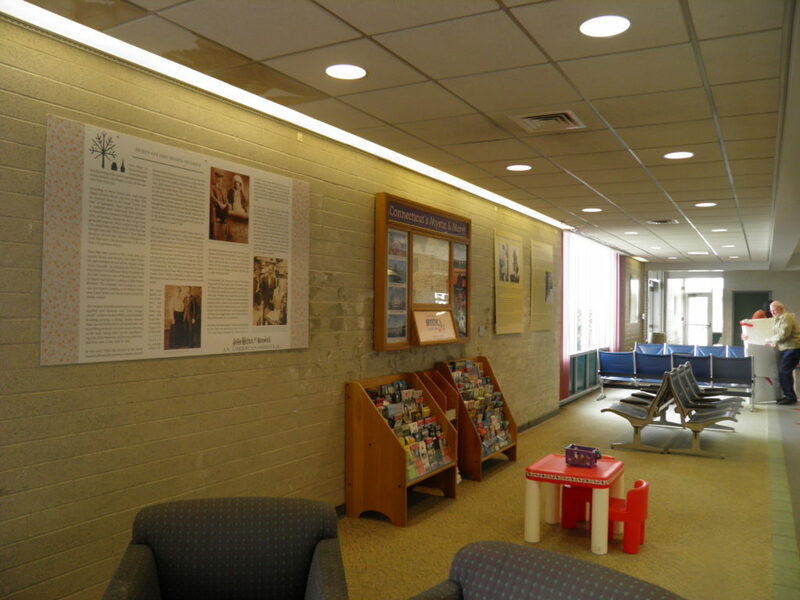 Since its inception in 2017, the Art At the Airport program’s purpose is to showcase the region’s uniqueness, history, industry, culture and geography through visual arts in the airport terminal located at 155 Tower Avenue in Groton. The program is a partnership of the Cultural Coalition and the Connecticut Airport Authority. Groton – New London Airport’s terminal is open daily from 7 am to 6 pm for public viewing of “Community Faces.” Parking is easily accessible and free. Coming Up Next at the Airport – “Ellis Ruley” presented by Slater Memorial Museum on view from May 13 to July 30. More info coming soon! 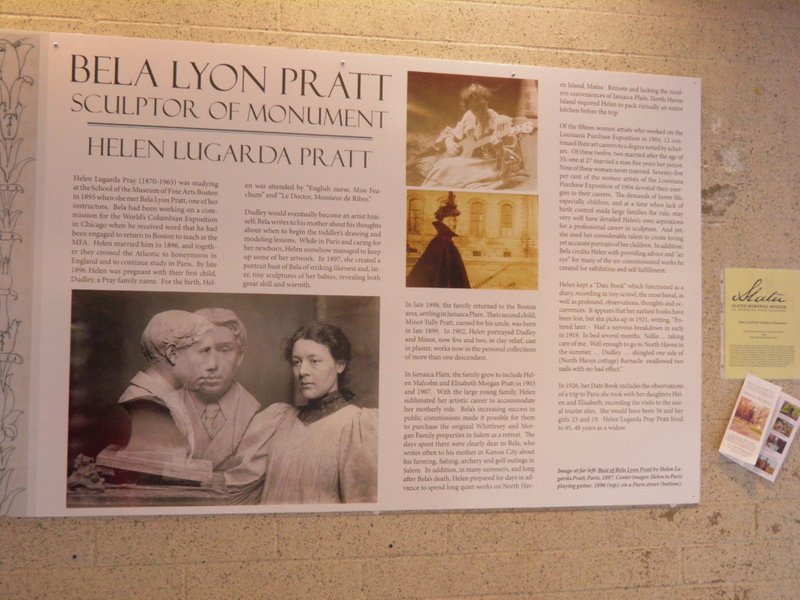 Bela Lyon Pratt (1867-1917) was born in Norwich, Connecticut to Sarah (Whittlesey) and George Pratt, a Yale-educated lawyer. Together, Pratt’s maternal grandfather and great uncles Orramel, Henry and John Whittlesey, started the first American piano making company in Salem, Connecticut. Orramel also founded, in 1835, the first music school, for women, in the country authorized to confer degrees to teach music, Music Vale Seminary, in Salem, Connecticut. Bela studied art at Norwich Free Academy, Yale University’s School of Art, and in Paris. He worked in the studio of renowned American sculptor Augustus Saint-Gaudens and, in 1892, created two large sculptural groups representing The Genius of Navigation for the World’s Fair in Chicago. Bela became an influential teacher of sculpting at the School of the Museum of Fine Arts Boston and received numerous commissions for monumental public work around New England, including the figures representing Art and Science for the Boston Public Library; Literature, Science and Art for the Thomas Jefferson Building of the Library of Congress; the Andersonville Boy on the grounds of the State Capitol, Hartford, Connecticut; Nathaniel Hawthorne in Salem Massachusetts; Captain Nathan Hale for Yale University and placement at other sites, as well as Governor John Winthrop in New London and Captain James Avery in Groton, Connecticut. The exhibition panels reveal his work and life, including the influence of his wife Helen Lugarda Pray Pratt, also a sculptor. United Cerebral Palsy (UCP) of Eastern CT, a Waterford-based organization, showcased pieces of art in a variety of mediums including mosaic, sculpture, and paint on canvas. 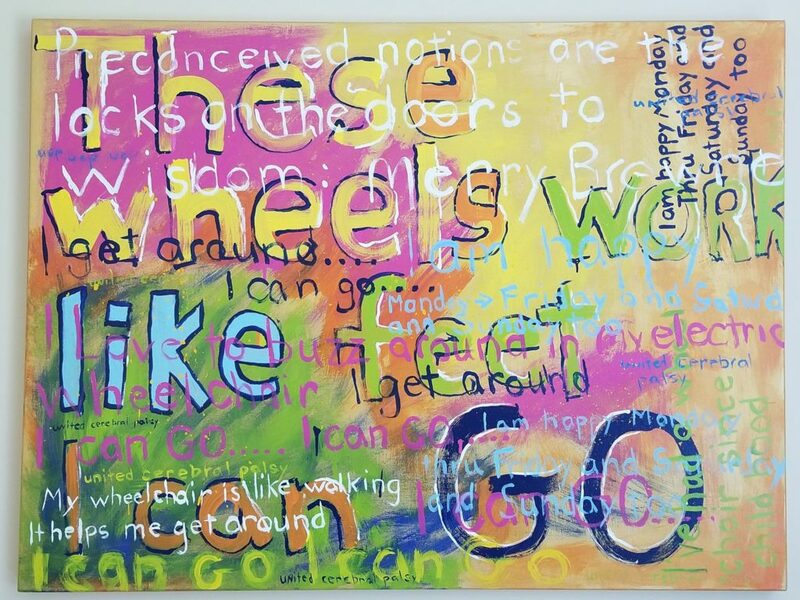 The artists are individuals with disabilities who, along with staff UCP staff members, work together to create one piece of artwork annually to display at the Hygienic Open Art Exhibit. The exhibit was a collection of work created over the years. All artwork is a collaboration between the people making the piece, from its initial conception to completion. Individuals participate in any way they can, whether making a choice about paint color using eye gaze or physical participation using a hand over hand technique. The art program at UCP enables each person to express his or her unique talents in a manner that makes it accessible to them. The Slater Memorial Museum of Norwich Free Academy presented John Meyer of Norwich: An American Original. Throughout Connecticut and beyond, women fondly remember John Meyer of Norwich. Now considered classics of 20th Century design and function, his line of clothing featured everything from “Bermuda” shorts to preppy A-line skirts, Argyle to Fair Isle sweaters. John Meyer of Norwich was an innovator in fashion for an emerging demographic of career women and college girls. Working with other technological innovators, he revolutionized the garment manufacturing process, introducing cutting-edge methods still used today. In addition, John Meyer’s factory and design business provided employment to dozens of Norwichians. The exhibited panels reveal the person and the company.